metal fountain, originally uploaded by jahansell. Tomorrow's theme is metal - this was my runner-up. 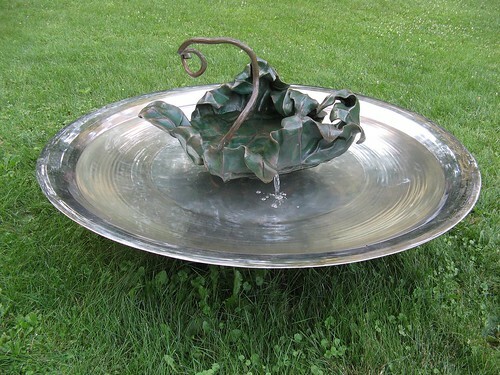 It's a gorgeous work of art, currently part of an exhibition in the garden of the Sharon Historical Society. Tomorrow's photos isn't actually nearly as pretty - but interesting in its own way! Lovely. Glad you posted it. If this is a runner up, I can't wait to see your final selection.